​See our selection of pianos below! Baldwin Hamilton (Regular) $1,395 SOLD! 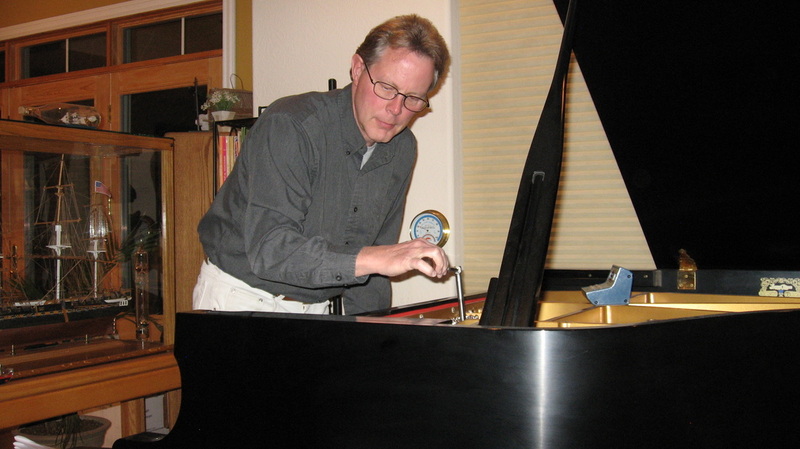 ​Fred Goheen has been offering piano tuning and repair since 1975 and sales of new and used pianos for customers along the Front Range since 1978. Goheen Piano provides the very best care for your instrument, whether you own an inexpensive spinet or a priceless grand piano. All work is guaranteed and our company stands behind all products sold. Matt Goheen has now joined the business and brings with him invaluable knowledge. A graduate of the University of Colorado, Matt will soon offer his skills to Northern Colorado as a full fledged piano tech. Goheen Piano offers the finest piano service, sales, & repairs in Northern Colorado. We service the following communities: Ft. Collins, Timnath, Greeley, Evans, Ault, LaSalle, Eaton, Nunn, Estes Park, Allenspark, Windsor, Loveland, Johnstown, Milliken, Plattville, Ft. Lupton, Hudson, Brighton, Berthoud, Longmont, Lyons, Firestone, Frederick, Erie, Boulder, Lafayette and Louisville Learn more. to inquire about secondhand pianos for sale or to schedule an appointment.